The RHL Season 1 finals will take place September 23rd at 2PM Eastern, 11AM Pacific, 8PM CEST. Team WANG, Firewall, and No Capes! 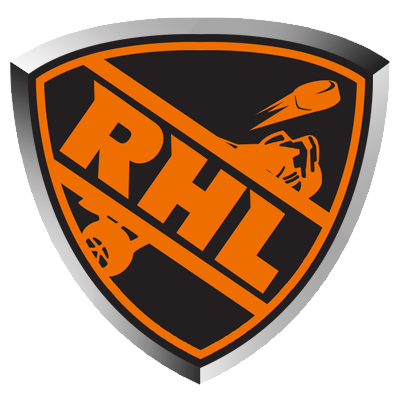 will compete for their share of the $500 prize pool, title, and glory as RHL Season 1 Champions! In addition to the finals, @godflow, @jinstream, and @themuffinman have been promoted to Commissioners of the NA region of the RHL. They will help maintain and shape the new direction of the upcoming RHL Season 2, and more upcoming SDC events! Current commissioners are happy with their efforts and very excited to finally have them on the admin team! Today is World Turtle Day. It was created on May 23rd, 2000, by American Tortoise Rescue. To celebrate World Turtle Day, here is a collection of Turtle Goals in Snow Day. Draco and K2 wheels have quickly become popular and colored variations are trading from anywhere between 2-150+ keys depending on the color. White Dracos are worth 150+ keys surpassing White Zombas while regular K2 wheels are trading for 1.5-2 keys. Two of the best things about the K2 wheels is that the default color is perfect for Snow Day and they’re affordable. According to Wikipedia, K2 is a reference for Mount Godwin-Austen or Chhogori, the second highest mountain in the world at 28,251 feet above sea level. The mountain is located on the China-Pakistan border and its peak is covered in ice and snow. It’s also the second deadliest mountain for climbers with 300 successful summits and 77 fatalities. Here is what the default K2 wheels look like in-game. To see all the colored variations of the K2 wheels, check out the following video. Warning, the video has loud music. If you’re interested in trading for these wheels, visit the RHL Discord Server and visit the #rl-trading channel. To see the latest prices for items, use the !prices command in the channel. This will generate links to trusted price sheets. While it’s not confirmed that Psyonix had the Snow Day community in mind when creating the K2 wheels, we like to think that they did. See you on the ICE! vVv Gaming & Rocket Hockey League present: 3rd Hockey Captain’s Draft Community Game Night on Tuesday, March 7th! Come join in on the 3rd vVv Gaming and Rocket Hockey League community event on Tuesday, March 7th, the Hockey Captain’s Draft! This event will be a Captain’s Draft style, double elimination 3v3 Snow Day event. Grab your Captain Daddy hats, bundle up, and equip your Mountaineer wheels so we can all head to the hockey rink! This tournament will follow the same rules and regulations as the regular vVv Gaming CGN: Draft events do, except that the default map will be DFH Snowy or Utopia Coliseum Snowy instead of DFH Stadium. Format: 3v3 – Double Elimination Tournament. Best of three (Bo3) in the winner’s bracket and best of one (Bo1) in the loser’s bracket until the last two matches which return to best of three. – Snow Day mutators (ball type puck, ball bounciness low). NOTE: Options must be also be changed in the mutators sub­menu! Registration: Visit http://vVv-Gaming.com/Rocket-League/Register on the day of the tournament to register. PLEASE MAKE SURE YOU CREATE AN ACCOUNT ON THE SMASH.GG WEBSITE, link here. IT WILL BE REQUIRED TO BE IN THE TOURNAMENT. While signing up you will be able to volunteer to be a captain. If there are more volunteer captains than the total number of teams, the captains will be picked at random from the pool of volunteers. If there are not enough volunteer captains, then the remaining number of captains needed will be chosen at random from the remainder of players. Captains will take turns picking their teammates in a “snake-style” (A, B, C, C, B, A) draft until all teams have 3 players each. Participating with friends is encouraged, however, there is no guarantee that you will be on the same team. The captain’s name will be entered into the Challonge bracket and will be used to represent their team. 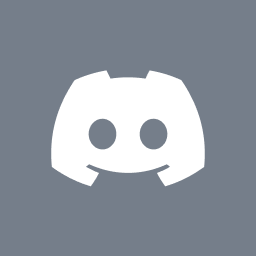 Voice channels will be created for each of the teams on our Discord server. The event will last around 3-4 hours. Team Icy Dicey Crisis has won the Bronze Group Gauntlet going undefeated and acquiring the most points overall in the bracket. Each match in the Gauntlet was a best of 3 where teams received points for each game won in their matches. For winning first place, each team member gets to select two Steam games out of a prize pool worth about $150. I asked Dojomojomofo what his experience was like in the Bronze Group and if there is anything in particular he wanted to say about his team. The RHL congratulates team Icy Dicey Crisis on their win in Season 1. To see them in action, check out the video below.